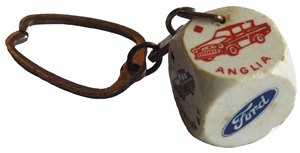 various Companies for the Ford Anglia. - approx 60m in length. 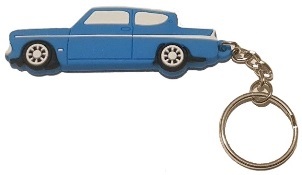 A round, Pale Blue keyring with a Dark Blue Ford Anglia, on a leather fob. 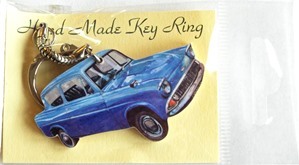 A soft plastic Ford Anglia shaped keyring made by Desborough Designs.co.uk. 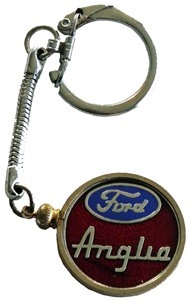 A round keyring with the Ford and Anglia script in silver, on a red background made by Trend..
A round, Red keyring with a lion and Anglia script in silver, on a leather fob. 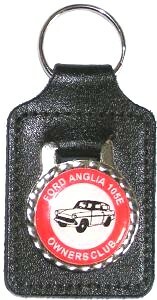 A rectangular metal keyring with the Ford logo on one side and an Anglia on the other. 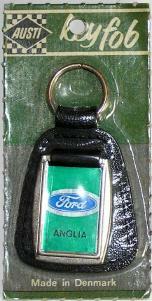 A Green and Blue keyring on a leather fob, made by Austi in Denmark. 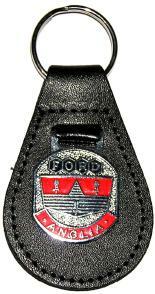 A round, Red keyring with the Ford logo and Anglia script in silver, on a leather fob. A round keyring featuring the Ford 105E Owners Club logo on a leather fob. One of a whole range of products produced by the Owners Club. 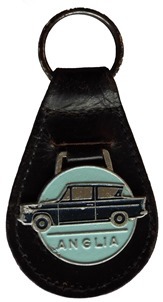 A round keyring featuring the Ford Anglia 105E Owners Club logo on a leather fob. 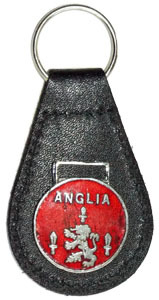 One of a whole range of products produced by the For Anglia 105E Owners Club. 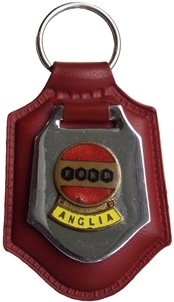 A shaped, Red keyring with the old Ford logo and Anglia script in silver, on a leather fob. 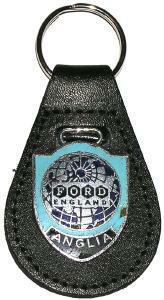 A shaped, Blue keyring with the Ford logo and Anglia script in silver, on a leather fob. 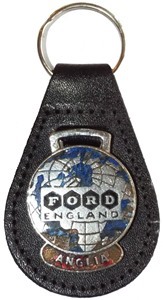 A round, Blue / White keyring with the Ford logo and Anglia script in silver, on a leather fob.